Website and identity for Liqua2, a new juice bar in Valencia, Spain. The brief was to create a colourful identity, vibrant, yummy and lively, to set the tone for the bar, which will be selling only super-healthy raw juices and smoothies from local organic produce. I was asked to incorporate a straw if possible – I was initially reluctant as every juice bar in the world has a straw in their logo – but I believe this works. 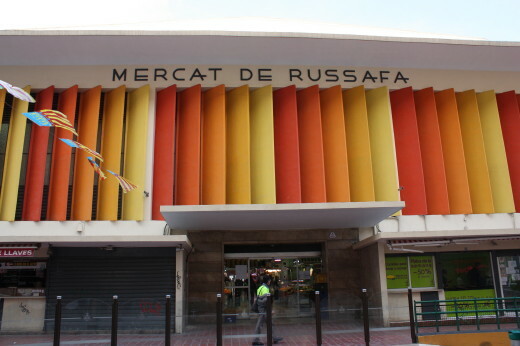 The design also takes inspiration from the Russafa market square where the bar is. The name plays with the word 'licuados', juices, and the number 2, dos in Spanish. I used a Q instead of a c because the q has become a glass with straw, seen from the top. The logo colours can change according to its environment, or the type of fruit. The website for the moment is a very simple single page parallax site, to grow later. I also took the photography for the project. A work in progress, still growing. After the bar opens in late May 2015, a lot more sections will be added, including online ordering forms and so on. It's a dynamic identity, that is not restricted by colour and that also lends itself to simple animations (soon to come). Lower section of the home page of the website, built on the Genesis framework. The Liqua2 logo does not a specific colour: it has as many colours as the fruit and vegetables used to make the juices. The 'Q' version of the logo, a stylised glass seen from above, with a straw coming out of it. This one is orange, to match the background. I styled the shoot to make the fruit and veg as appetising, zesty and fresh as possible. The Q version of the logo in yellow, with another photo from the shoot. The Q version of the logo in dark pink, with another photo from the shoot. Creation of the brand, design of the logo, photoshoot. Wordpress theme consultation and customisation with extensive CSS work. After the bar opens, an ordering area will be open on the website.